WELLINGTON - It was a calm morning in Antarctica’s remote Ross Sea, during the season when the sun never sets, when Capt. John Bennett and his crew hauled up a creature with tentacles like fire hoses and eyes like dinner plates from a mile (1.6 km) below the surface. 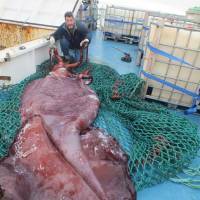 The monster from the deeps was a colossal squid, one of the sea’s most elusive species, weighing 350 kilograms (770 pounds) and as long as a minibus. 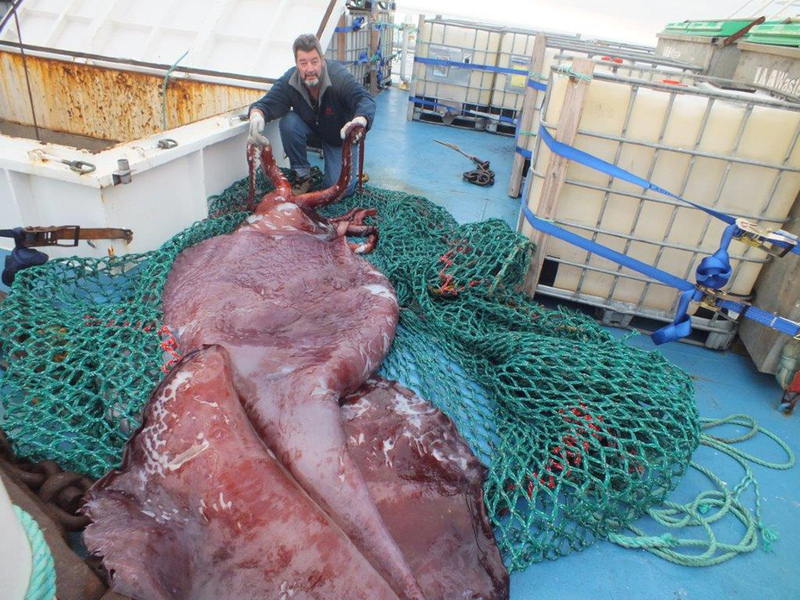 The maximum estimated length of colossal squid is 14 meters (46 feet), a meter longer than even the giant squid, which is rarely found in polar waters. They froze the squid, and it stayed on ice for eight months until Tuesday, when scientists in New Zealand got a long-anticipated chance to thaw out the animal and inspect it — once they maneuvered it with a forklift into a tank. The squid is a female. Its eight arms are each well over a meter (3.3 feet) long. Its two tentacles would have been perhaps double that length if they had not been damaged. Many people around the world agreed. 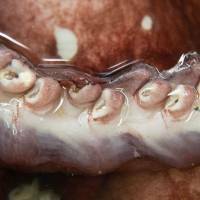 About 142,000 people from 180 countries watched streaming footage of the squid examination on the Internet. Colossal squid sometimes inhabit the world of fiction and imagination but have rarely been seen in daylight. Remarkably, Bennett and his crew on the toothfish boat San Aspiring have caught two of them. Their first, hauled in seven years ago, is on display in New Zealand’s national museum, Te Papa. Bennett said there was so much excitement about his previous catch, he thought he had better save the latest one for research. 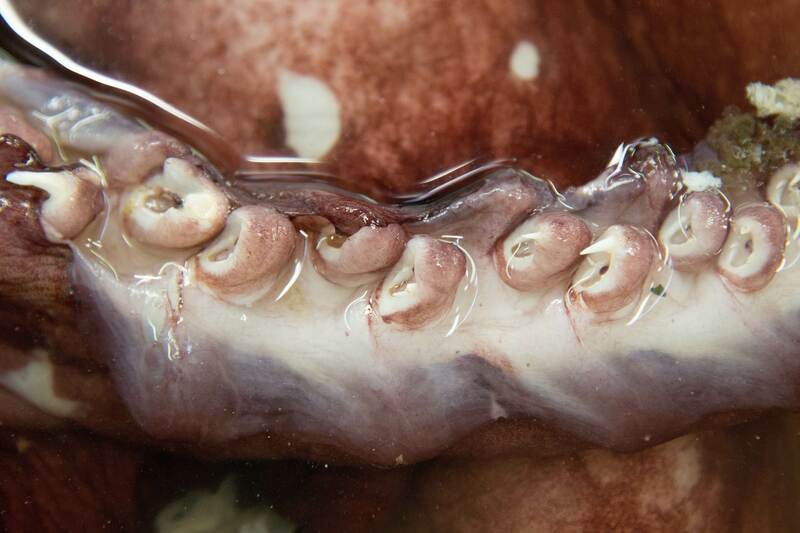 Susan Waugh, a senior curator at Te Papa, said scientists hope to find out more about where the creature fits in the food chain, how much genetic variation there is among different squid types, and basic facts about how the colossal squid lives and dies. She said scientists plan to further assess the condition of the squid before determining whether to preserve it for public display. Bolstad said it is possible that ancient sightings of the species gave rise to tales of the kraken, or giant sea-monster squid. She said sperm whales often eat colossal squid and are known to play with their food, and sailors may have mistaken that for epic battles.